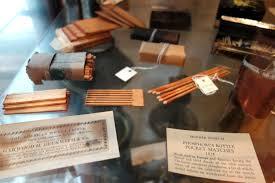 Friction matches are recorded as having been sold for the first time on this date in 1827 by their inventor John Walker (29 May 1781 – 1 May 1859). Several inventors worked on similar ideas around the same time, but Walker is the first, even though his contribution is now mostly forgotten, especially since he did not take out a patent. 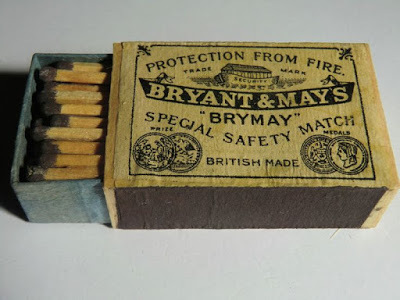 Matches were a great boon because before their invention, striking a light was a pain in the neck. Most European households kept a fire going at all times (day and night), so that they did not have to start a new one. If they had a wood stove for cooking, they could bank the fire down when not in use (including overnight) and then crank it up when needed. This fire could be used to light spills or tapers for lighting candles, lanterns, pipes, cigars and whatnot, but it was all an incredible nuisance, and should it go out, relighting it was a nuisance. Apart from getting a light from a neighbor, there was the tinder box – a box filled with some easily combustible material, and with flint and steel attached to strike a spark. Getting a flame going required skill and patience, and was not something most people could, or would, do if there was an alternative. Enter matches. 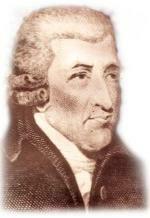 John Walker was born in Stockton-on-Tees, County Durham, in 1781. He went to the local grammar school and was afterwards apprenticed to Watson Alcock, the principal surgeon of the town, serving him as an assistant. He had, however, an aversion to surgical operations, and had to leave the profession, turning instead to chemistry. After studying in Durham and York, he set up a small business as a pharmacist at 59 High Street, Stockton, around 1818. Walker developed an interest in finding a means of obtaining fire easily. Several chemical mixtures were already known which would ignite by a sudden explosion, but it had not been found possible to transmit the flame to a slow-burning substance like wood. While Walker was preparing a lighting mixture on one occasion, a match which had been dipped in it took fire caused by accidental friction upon the hearth. He at once appreciated the practical value of the discovery, and started making friction matches. They consisted of wooden splints or sticks of cardboard coated with sulphur and tipped with a mixture of sulphide of antimony, potassium chlorate, and gum, the sulphur serving to communicate the flame to the wood. Walker set the price of a box of 50 matches at one shilling. 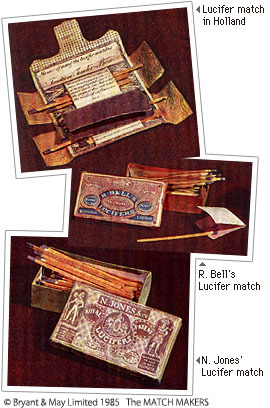 With each box was supplied a piece of sandpaper, folded double, through which the match had to be drawn to ignite it. 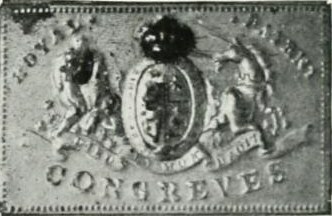 He named the matches “Congreves” in honor of the inventor and rocket pioneer, Sir William Congreve. He did not divulge the exact composition of his matches. Two and a half years after Walker’s invention was made public, Isaac Holden arrived, independently, at the same idea of coating wooden splinters with sulphur. The exact date of his discovery, according to his own statement, was October 1829. 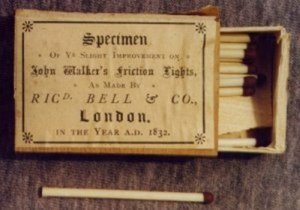 Previous to this date, Walker’s sales-book contains an account of no fewer than 250 sales of friction matches, the first entry bearing the date 7th April 1827. Because he was already comfortably well off from his sales, Walker refused to patent his invention, despite being encouraged to by Michael Faraday and others, instead making it freely available for anyone to make. He received neither fame nor wealth for his invention, although he was able to retire some years later. The credit for his invention was attributed only after his death. Following the ideas laid out by the French chemist, Charles Sauria, who in 1830 invented the first phosphorus-based match by replacing the antimony sulfide in Walker’s matches with white phosphorus, matches were first patented in the United States in 1836, in Massachusetts, being smaller in size and safer to use. White phosphorus was later banned for public usage because of its toxicity. Today’s modern safety matches were created by the Swedish chemist, Gustaf Erik Pasch.